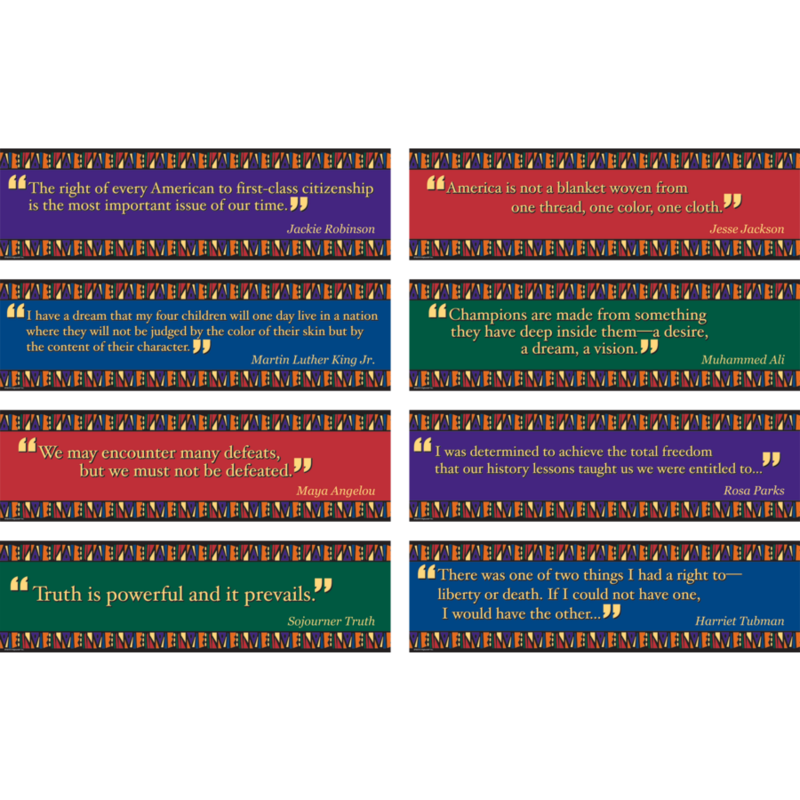 Mini bulletin board set features quotes from Martin Luther King Jr., Sojourner Truth, Rosa Parks, Maya Angelou, Muhammad Ali, Jackie Robinson, Harriet Tubman and Jesse Jackson. Includes teacher guide. 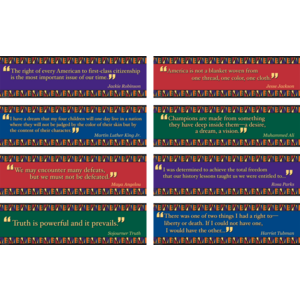 Set of 8, 6" x 21" panels.